As a third-generation family business, Evola Music is dedicated to maintaining its strong links to the metropolitan community. We specialize in acoustic and digital pianos, player pianos, church organs and home organs, print music, quality music lessons and recital facilities. At Evola Music you can rely on our knowledgeable sales consultants to provide honest, intelligent answers to all of your questions. With the most comprehensive selection of quality instruments in Michigan, you’re sure to find one that exceeds your expectations. Ultimately, our reputation for superior service before and after your purchase will be the deciding factor. We look forward to serving you and making your musical dreams come true. 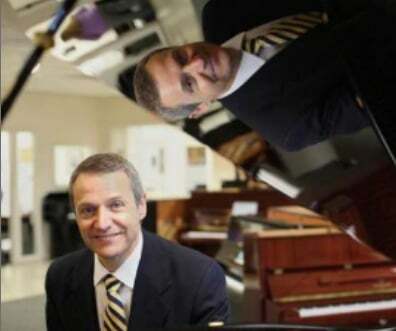 At Evola Music, our consultants witness the excitement and inspiration on the faces of our visitors when they sit down at a piano or organ for the first time. We cultivate this passion each day at our Bloomfield Hills, Canton, and Traverse City locations. Stop in today and let the power of music fill your soul. Thank you for visiting evola.com and allowing us an opportunity to be of service. My name is Jim Evola and I am the third-generation family owner of Evola Music. The daily goal of my associates and I is to provide you the information you are seeking, with the confidence you desire, in the most professional manner possible. Ultimately, I want you to become a valued Evola Music customer who will share your positive experience with friends, coworkers and family. Again, thanks for the opportunity to service your musical needs. I look forward to meeting you in the Evola Music store closest to you in Bloomfield Hills, Canton, Traverse City, or our Shelby Township Lesson Studios.